Our double sided PVC tape is a high performance tape with excellent initial tack and high sheer adhesion. It displays excellent UV, weather and temperature tolerance. 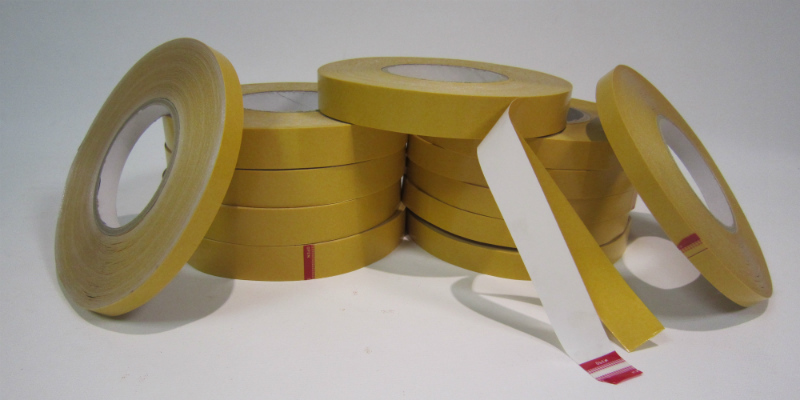 This tape also exhibits a high resistance to plasticiser and features moisture stability and chemical resistance. A thick white double sided adhesive tape consisting of a PVC film backing and an acrylic adhesive. Giving a quick instant stick and a long lasting performance. Suitable for use on textured surfaces due to its high coat weight. Powerful adhesion and strength and adheres to rough surfaces. Evaluate for mounting applications where holding power is required. Log rolls 1220mm wide. Can be slit to any width required. Please contact us for pricing and volume discounts or for any further information.